We hope you’re hungry for a second serving of Santa Clarita Diet, because Netflix announced the show’s return this morning via YouTube. 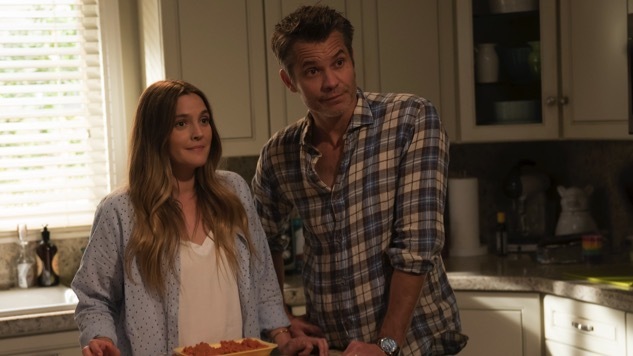 Set to return in sometime in 2018, the dark comedy stars Drew Barrymore and Timothy Olyphant as Sheila and Joel, a couple in a stalling-out marriage who find renewed romantic purpose after Sheila begins to crave human flesh. The 13-episode first season hit Netflix on Feb. 3, and production on the second season will get going this summer. To see what we thought of the show, you can check out our review here. You can also watch Netflix’s renewal announcement below, in which a hand spells out the number “2” with assorted body parts, before asking, “Ready for seconds?” Be sure to check back with Paste for any updates on Santa Clarita Diet’s specific return date.